U.S. President Donald Trump has proposed to send Secretary of State Mike Pompeo to North Korea again to meet with the country's leader Kim Jong-un and continue negotiations on the North's denuclearization. U.S. National Security Adviser John Bolton on Tuesday told Fox News that Trump made the proposal in his most recent letter to the North Korean leader. The letter was delivered to the North's Foreign Minister Ri Yong-ho during last week's ASEAN Regional Forum in Singapore. Bolton said that Pompeo is prepared to go back to North Korea to meet with Kim, adding Trump is also ready to meet with the North Korean leader at any point. 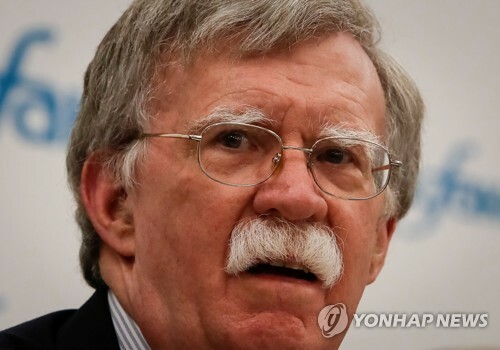 However, Bolton reaffirmed that the Trump administration will continue maximum pressure against the North until Pyongyang denuclearizes, saying that North Korea has not taken the steps that Washington feels are necessary to dismantle its nuclear weapons program.